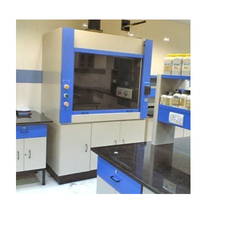 We are a manufacturer, supplier & dealer of Fume Exhaust Hood. We offers a wide range of fume exhaust hood to suit every specific application of the user. These are designed to exhaust toxic, or otherwise harmful vapours etc, for protecting laboratory personnel and equipments. MIGHTY INSTRUMENTS” Fume Hoods are one of the most important Components used to Protect Laboratory Personnel from exposure to hazardous chemicals and agents used in the laboratory.